This year marks the 10th anniversary of the iPhone, so instead of regular annual upgrades, a big surprise may be waiting for us at the end of 2017. Apple's partnership with AIDs charity is also hitting 10 years. 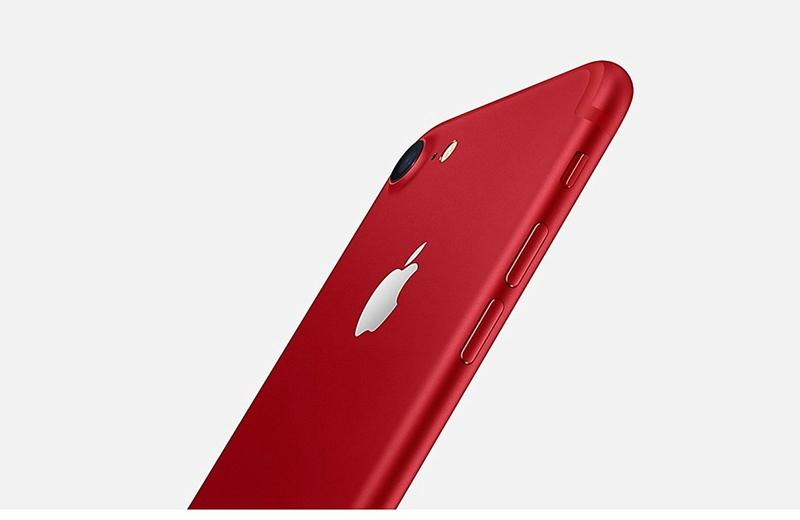 In order for a celebration, the brand new red version of the iPhone 7 and 7 Plus were launched in March, which received mixed reviews and we may also see this color continuing to Apple's next line-up - the iPhone 8. So what can we possibly expect from the latest and greatest generation of the iPhone? This post delves deep into all the details, leaks and rumors regarding the iPhone 8. The iPhone 8 is rumored to have a glass and stainless steel body with an edge-to-edge screen, with little or no bezels, much in trend with the likes of the Samsung Galaxy S8, the Xiaomi Mi Mix, and the LG G6. The much loved home button has been rumored to have been removed and integrated within the screen, with new positioning of the speaker grille. Like the iPhone 7, the iPhone 8 is expected to be water resistant (IP68 rating however), shielding the device from rain, splash and from water up to a depth of 1.5 meter for about 30 minutes. It is reported to use the Touch-ID fingerprint sensor as usual. It has an elongated volume button and a longer power button allocated to the left side of the iPhone 8. The iPhone 8 may be released in three models, with one featuring OLED display and a glass body and the others having LCD display with a metal (aluminium) body. The iPhone 8 is said to have an edge-to-edge 5.8 inch display and FINALLY Apple is rumored to dump the long preferred LCD display for a brand new flexible plastic OLED display which would allow apple to produce a thinner device that consumes lesser power, provide greater contrast ratio with natural and real life colors. The screen is said to have 5.18 inches of usable area, dedicating the rest to a new rumored "functional" area which would hold the integrated home button and also other functions, mainly the new "hover-sensitive screen" which would do things simply by hovering your hand over the screen and would help in smarter screen management. A point to be noted here is that Apple has ordered a huge bulk of OLED displays from Samsung that have featured in S8 and have been rated by DisplayMate Technologies as the best phone display out yet! It is also rumored to have piezoelectric speakers integrated into the screen for calls much like the Xiaomi Mi Mix. A vertical dual camera setup is expected at the rear with rendering suggesting the flash to be situated in between the two lenses. A dual camera setup is also expected at the front with possible features like 3D Mapping and Retina Scan. The iPhone 8 may have 3D rear cameras which will have the ability to percieve depth and provide augmented reality effects. Even though some reports claimed that the dual front cameras may provide the same augmented reality effects but that is highly improbable considering they are placed on either side of the earpiece. The all new iPhone is expected to include a faster A11 chip for handling performance duties with iOS 11. A greater 3 or 4 GB of RAM is expected as the iPhone 7 and 7 Plus are stuck with 2 and 3 GB of RAM respectively. While there's no news on how much power the battery will pack, Apple may introduce a feature where its trailing behind its rivals. Yes! It's the Wireless Charging. With the removal of the headphone jack, being completely free of cables is surely the next mantra. Apple may also go a few yards to introduce a wireless AirCharger which charges the phone wirelessly from quite a distance without even having the phone in contact with it unlike traditional wireless chargers. The iPhone 8 is rumored to have an iris scanner like the Samsung Galaxy Note 7 and Galaxy S8 and will also tighten other security features but all of that is still largely unknown. The cellular network speed is a department where the iPhone 8 may lag behind the Samsung Galaxy S8. The Samsung Galaxy S8 ships with Qualcomm's Snapdragon 835 or Samsung’s own Exynos 8895 chipsets both of which support Gigabit LTE whereas Apple uses Qualcomm and Intel modems. As of this time the Intel modem can’t deliver Gigabit LTE speed, which will force Apple to slow down the Qualcomm modem to ensure same footing of them both. The iPhone is also rumored to switch to USB Type-C connectors for the iPhone 8 but analysts reported Apple would stick to its Lightning connector instead. According to some other reports, the iPhone 8 will use an "enhanced receiver" at the top of its device to enhance its sound and water resistance. The issue although is still largely unknown,the new iPhone 8 is expected to ship in 3 storage variants: 64,128 and 256 GB respectively. While the top-end 256GB is expected to cost around $1000, the 64GB entry-level model is expected to cost around $850. Samsung Galaxy S8 Review: Is it truly the best phone yet? !